Mosaics: these tiny squares of ceramic, used by the ancient Egyptians and Romans to decorate their temples and villas to such great effect, have been a contemporary design trend for quite a while now. Metallic and glass have added a contemporary edge to the humble mosaic and now it’s a key design component in any contemporary bathroom or kitchen. Glass and metal mosaic tiles add an effortless gloss and sparkle with an industrial edge to a bathroom or kitchen splashback. Think bigger and you can build dazzling bespoke murals. Whether you take your inspiration from steampunk or the natural world, we have a sparkling range of glass and metal mosaics in a comprehensive range of colours that work with every interior style from industrial country to hyggelig. Mosaics are a designer’s secret weapon. In the same way that an exquisite mirror can add shape and interest to a space, so hundreds of tiny glass and metal mosaic tiles can bend and play with light, bouncing it around to add texture. Where other tiles are simply flat, metal mosaics add interesting texture and light play to an otherwise boring surface. The chances are you’ll use mosaics as a highlight in a bathroom or to create a kitchen splashback. In other words, you’ll use them on relatively small surfaces where you can afford to experiment with texture, colour and design. Nickel mosaic brick would create a dazzling splashback against any colour cabinets when used as a neutral. The bronze mosaic tile plays into the trend for warmer metallics like brass and copper. Metallics can add so much drama to an otherwise mundane space. Gold, aluminium or bronze can look absolutely stunning and have been a huge design trend in 2016 that shows no signs of stopping in 2017. Our metallic tiles can be used either as highlights or to create an entire feature wall. Mix with stone and glass mosaics for an effect that is completely unique to you. There’s no reason why mosaics should be confined to the kitchen or bathroom. Consider creating a feature by tiling directly on to a piece of wood to hang in your living room, or create a stunning and unique headboard by tiling behind your bed with mosaics. Alloy, with its range of textures and tile sizes, would create an incredible impact, especially if followed through into an en-suite bathroom. One of the biggest trends for mosaics in recent years has been the development of mixed material mosaic tiles, mounted on easy tile sheets, that create a contemporary twist on the traditional square tile. Stone, glass and metallics in pale to strong neutrals, quickly and easily create stunning effects and are foolproof to lay effectively – try beautiful bronze mosaic brick, with its subtly brushed finish, to make a strong impact. Why are mosaic tiles growing in popularity? Mosaic tiles play to our senses. A mixed mosaic tile will offer several different textures, not just to the eyes but also the fingertips. Mosaic is incredibly tactile and offers a huge array of design possibilities. Mosaic tiles are perfect for a modern look, being practical to lay around obstacles to maintain a clean and seamless silhouette. Metallics add an element of surprise, largely because these are materials we don’t traditionally associate with tiling. Use horizontal brick shaped tiles to elongate the space or consider running tiles diagonally for added interest. There’s something about the sheen of metal mosaics that turns any splashback into a work of art. 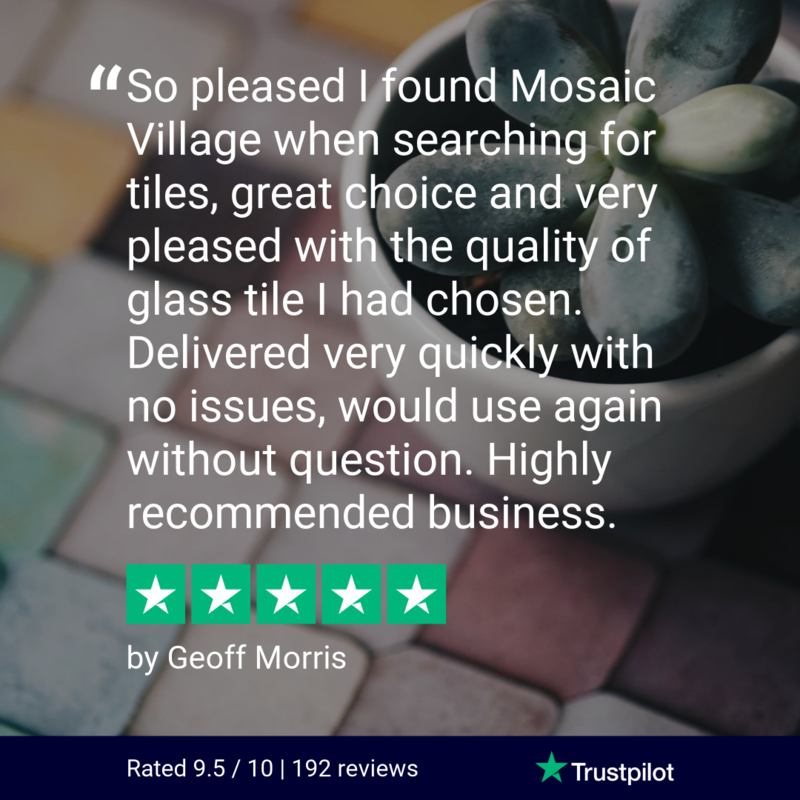 So just why are mosaics so popular? They’re durable and easy to clean. They’re a green and sustainable choice that can solve tiling problems that other, larger tiles can’t tackle. But much more than that, they give us the opportunity to dazzle the eye with texture and colour, to create drama and interest. If you would like to know more about our metal mosaic tiles or any of our other products please don’t hesitate to get in touch with us today! This entry was posted in Mosaic Tiles. Bookmark the permalink.